Stop by the Lions Park at and enjoy your day watching softball, eating brats and hotdog and of course Ice Cream! Pop, Beer and Bottled Water also available for purchase. 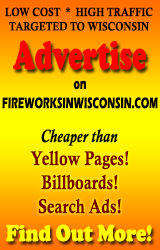 Fireworks Display at Dusk- Sponsored by the Stone Lake Lion’s Club. All proceeds benefit the Stone Lake Community. Free will donations will be accepted should you like to help support the Fireworks fund!